After a long winter’s day spent trudging through snow and ice, nothing cheers the spirit and takes away the chill like a crackling fire that fills the room with warmth. 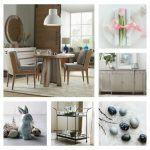 Add some stylish seats, a tasty snack and the stage is set for a toasty tete-a-tete with a friend or family member. Sound sublime (of course, it does– you’re freezing!)? Here’s how easy it is to create a fireside chat that’ll warm the toes, delight the eyes and tickle the taste buds. 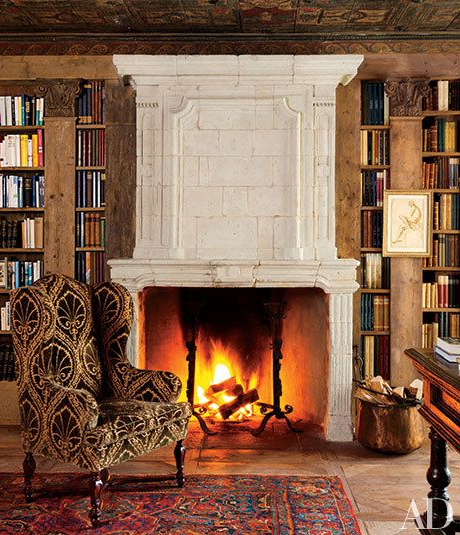 •Put two amazing chairs over there–next to the fireplace. 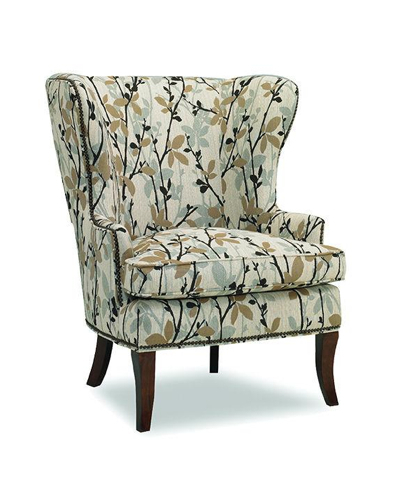 Wing chairs (like the one shown above) debuted in 17th century England. 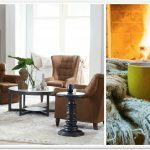 They quickly became must- haves for homes everywhere because they provided a long-needed solution to a persistent problem–how to stay warm in drafty rooms heated only by fireplaces. With their unique silhouette (high back, low seat, protruding wings), wing chairs kept the back and sides of the body draft-free while also protecting users from over-exposure to roaring fireplaces. 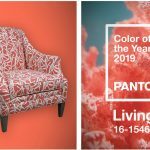 Also called “fireside chairs,” these sensible seats are still popular even now, hundreds of years later–proof that good design stands the test of time. 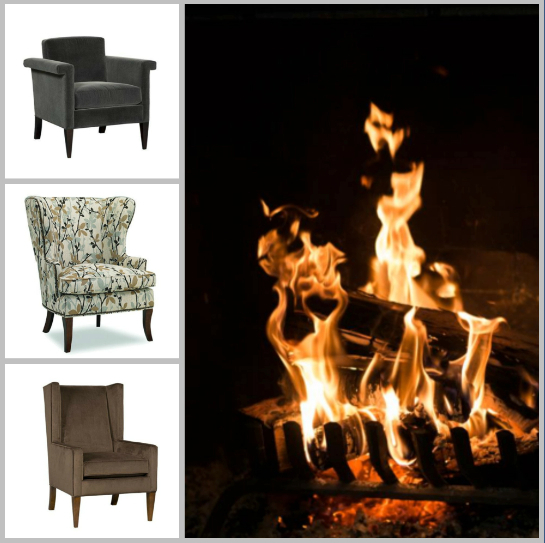 Since our homes have central heating, today’s wing chairs are more about style than shelter. That lets the imagination of designers take flight and makes it easy for this classic to remain stylistically relevant and be the perfect fireside chat chairs. 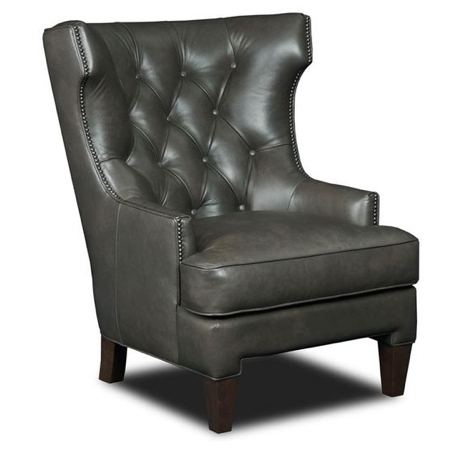 Leather, in an ultra-urban gun metal grey hue, gives the Maximus Ceremony club chair its hip vibe. 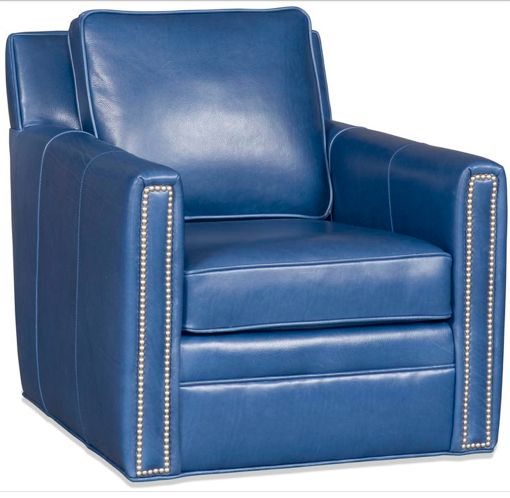 With contemporary clipped wings and classic details like button-tufting and nailhead trim, the Maximus Ceremony leather club chair masters the mix so it works in both traditional or modern spaces. 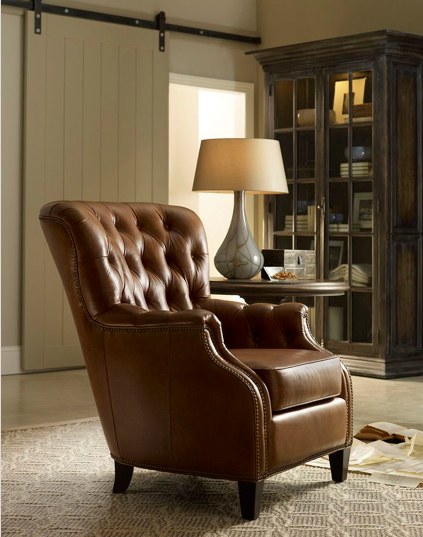 The Hamlin wing chair is a tad feminine with softly flared wings and a demurely curved shape. 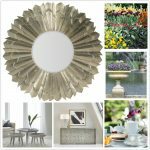 It also has a Blendown seat (of 30% down and 70% polyester fiber) that delivers a nicely-cushioned crown and sublime feather/down feel. 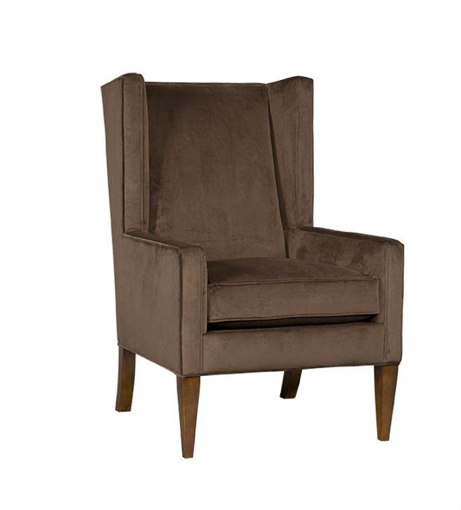 The Simone wing chair delivers lots of wow with a clean-lined, geometric influence silhouette that’s distinctly modern. Aptly named, the Aegis Glove club chair wraps you in comfort like a glove. Luxe to the touch, it’s meticulously hand-crafted using the most exquisite leathers in the world and is generously sized from top-to-bottom. 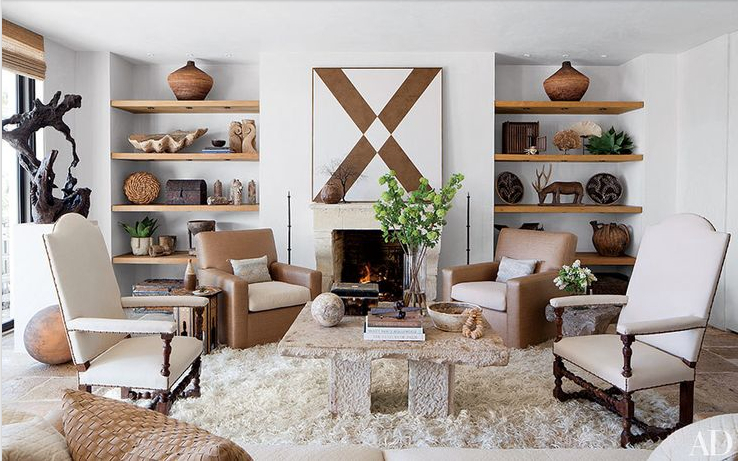 In the Malibu home of producer Avi Arad (think Iron Man, The Avengers, Spider-Man and X-Men), fireside chats spin modern with an infusion of contemporary chairs, a sleek mantel and accents like this graphic painting by Mark Hagen and sculptural Chinese root displayed atop a pedestal. Although tub chairs date back to Louis XV’s 17th century court, the Liam swivel tub chair is anything but bound by history. Sleek, chic and covered in a rich blue leather that adds a pop of vibrant color to interiors, Liam is a swanky reboot of a French favorite. 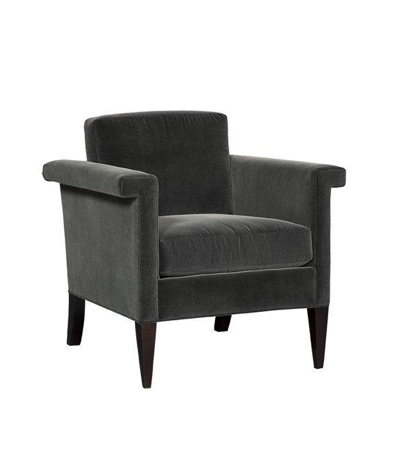 The Enigma club chair has a contemporary feel, yet also features touches of classic tuxedo styling like a pared down, modern silhouette; squared-off back and arms; and no back cushion. 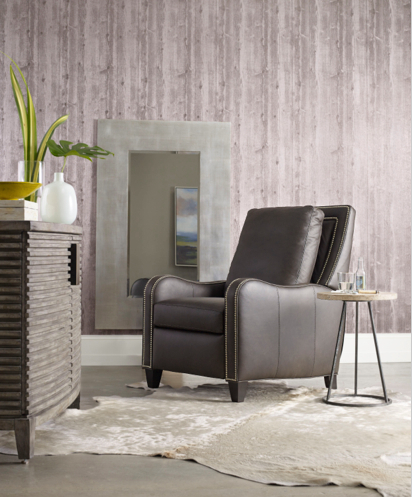 The Greco reclining chair is a head turner and conversation starter with its sleek, modern shape, supple leather and power recline seat back. •Whip up a sweet treat that’s fun to eat. My earliest fireside chat memories are of family camping trips where we talked late into the night while noshing on s’mores. Indoor fireside chair chats are much more my style (no bugs, no dirt, no sitting on the hard ground). So is “S’more Pie”, a divine recipe from “The New Sugar & Spice” cookbook by Samantha Seneviratne . This trendy spin on s’mores has a salty-sweet graham crust and bittersweet chocolate custard filling so tasty that your fireside chat will go strangely silent. Everyone will be too busy eating to talk. A chic spin on a campfire favorite, S’more pie is the perfect snack for a fireside chat. Photograph copyright © 2015 by Erin Kunkel, Ten Speed Press, an imprint of Penguin Random House LLC. I don’t really like camping. Nature is okay with me, but I like to experience it and then take a good, hot shower, cook dinner on a powerful gas range, and sleep in a clean, cozy bed. But I do love a s’more. To me, they are basically the only reason to ever don a heavy backpack. 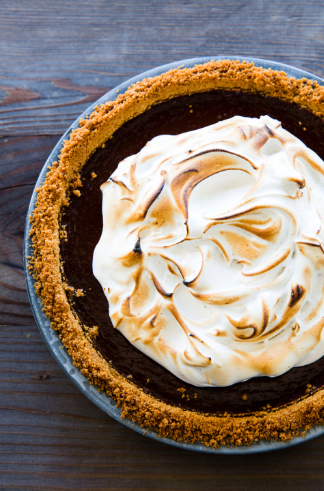 This pie is a pretty, sliceable riff on s’mores that hits all the right notes: salty-sweet graham crust, luscious bittersweet chocolate custard, and a light, fluffy toasted black pepper meringue. Eat it while watching a movie, soaking in the tub, or doing something else supremely comfortable. Making the meringue topping is easy, especially if you have a stand mixer. If you only have a hand mixer, enlist the help of a friend to beat the egg whites while you keep an eye on the temperature of the sugar. It’s doable alone, but more fun with help. To prepare the crust, combine the graham crackers, butter, sugar, and salt in a 9-inch fluted tart pan with a removable bottom or a standard 9-inch pie plate. Press the crumbs into the bottom and sides of the pan. Bake the crust on a baking sheet until fragrant and just beginning to brown, 14 to 16 minutes. Let the tart shell cool completely on the sheet on a rack. To prepare the filling, put the chocolate in a medium bowl. In a small saucepan, bring the cream just to a boil over medium heat. Pour the hot cream over the chocolate and let stand for 1 minute. Whisk until smooth and let cool slightly. Stir in the eggs, vanilla, and salt. Pour the filling into the prepared crust. Set the pie on a baking sheet and bake until the edges of the filling are set but the center still has a slight jiggle, 18 to 22 minutes. Let the pie cool completely on a rack. Just before serving, make the topping. In a large bowl (or the bowl of a stand mixer fitted with the whisk attachment) add the egg whites. In a small saucepot fitted with a candy thermometer, heat the sugar and the water over medium-high heat without stirring. When the thermometer hits about 220°F, beat the egg whites on medium speed until just frothy and the yellowish hue has disappeared. When the sugar reaches 238°F, increase the mixer speed to high and, with the mixer running, pour the sugar syrup into the bowl in a thin stream. Continue to beat the mixture until shiny, medium-stiff peaks form and the mixture is cool, about 6 minutes. You should be able to lift the beaters out of the mixture and pull tall, stiff peaks that fold over at the tip. Beat in the pepper and vanilla. Scoop the meringue on top of the pie and use an offset spatula to swirl it around into decorative swoops and spikes. Using a mini blow torch, toast the topping to an even golden brown. This pie is best the day it’s made, served at room temperature.